Alright, it’s the end of the year and time for a bit of brutal reflection. I’ve realized that I don’t do a good job taking care of me. I’m quick to meet the needs of everyone around me, but I struggle to ensure my own needs are met. I don’t know why I feel guilty taking time for me, but it’s definitely a struggle. So, it’s something I plan on changing in the new year. I’m realizing that I don’t have the energy or enthusiasm to take care of others when I’m running on empty. My weight has soared (and not just because I’m pregnant!) and my patience is worn. I’m ready to make some changes. Building new habits won’t happen automatically, but I’m excited about the plans I’m making. I’m excited at being refreshed and healthy and ready to give more to others. I need to get back to a morning quiet time. I hated feeling like I was merely “checking the box“, but lately I’ve been reading a chapter or two on my cell phone and calling it good. There’s no time for reflection in my crazy jam-packed life, and sometimes I struggle to even remember what it was I read. I received a woman’s study Bible for Christmas, and I’ve spent time the last few days just reading. It’s been so refreshing, and I realize that I need to dive into the Word. My new plan is to spend more time reading daily. I want to actually pull out the physical Bible and use it. There’s something about actually turning the pages and being able to go off on rabbit trails in the scripture. On my phone, I hesitated to do that because I was worried I’d lose my spot and not remember where I was reading. Why oh why do I find drinking enough water so hard? I have no idea! But I do. And I feel so much better when I stay hydrated. So I’ll be leaving my handy quart sized mason jars around the house and drinking where ever I am. I need to find a good water bottle that I enjoy using too, so I can stay hydrated on the go. I’m so bad at remembering to bring water when I go shopping, and for our whole-day shopping trips, that’s a long time without water! My FitBit broke last month, and I miss it. I’ll be replacing that in January! I want to increase my steps and try to hit 12,000 every day instead of barely getting 10K. In order to do this, I’ll need to actually go on a walk. I love getting outside and find the fresh air so refreshing, so this will be a double win for me. I’ll bring a kid or two along with me, and get some quality time in while walking. I’m addicted to my stupid iPhone. And it’s not a healthy habit! So my phone is going up on a shelf more and being in my hand less. I’m going to get back to checking my email on my computer. It’s easier to read anyways! Then I’ll have some designated smartphone time each day (haven’t figured out when yet). I’m going to need my family’s help on this one–I think my kids will enjoy reminding me to put the phone away! I don’t have control over the amount of sleep I get right now, since Owen’s sleep disorder is so bad. But, I’ve gotten in the nasty habit of staying up late because I know as soon as I get to sleep he’ll wake up. It’s not a good place to be, especially since I’m really pregnant and exhausted. So even though I may not be able to actually sleep, I need to prioritize rest. It’s essential. I’ll have to really rework the daily routine schedule to get more work time in during the actual day instead of during the late night. That’ll be good because I’m more productive earlier in the day anyways! We had so many sweets in the house this December. I indulged frequently. And it took a toll on my weight and my pregnancy heartburn. I need to get better at self-control when it comes to sweets. I don’t often eat, “just one.” So increasing produce and decreasing sweets is huge on my to-do list. So is eating smaller portions. I’d love to drop some weight once baby comes. I’m really bad at accepting help. I’d rather do everything myself. But, with a new baby coming and a busy household, I know I need to accept the help the Lord sends my way. It won’t be easy, but it’ll be good for me. This one might even be harder for me than the one above. I hate admitting that I need help. But I do. Especially when baby first comes. We tend to spend money on things that are important to us. I need to start investing in my health. Buying a new FitBit is part of that. 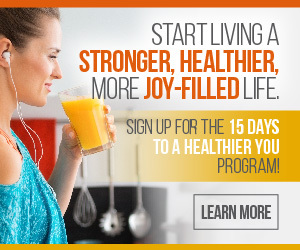 I also signed up for a new course from Money Saving Mom, called 15 Days to a Healthier You. It starts in early January, and I’m excited. I’ll also be spending more on produce. I’m hoping to eat a nice salad everyday, which means I’ll need to get some toppings because I hate a boring salad! I’m also considering looking into a good probiotic. I have a friend who sells Plexus, and she’s had many incredible changes since she started taking these natural products. But that’ll wait until after I welcome a sweet babe into the world! Here’s to a Healthier 2017! I don’t want to call these resolutions, because I usually fail at keeping those. But, I want to be healthier. I want to take better care of myself. That way I have more energy to take care of others. Will you be joining me with similar changes next year? I’d love to hear your thoughts in the comments.